Whether this means Saber are currently working on additional modes, content, or both is unclear at this point, but in any event, the release of the game has been pushed back. 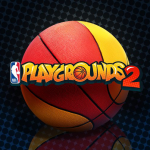 No new date has been specified as yet, but presumably NBA Playgrounds 2 will still be coming out before NBA Live 19 and NBA 2K19. As soon as any further details are made available, we’ll be sure to post them. In the meantime, feel free to share your thoughts in the comments section below, as well as join in the discussion here in the Other Basketball Games section of the NLSC Forum.